Unusual light installations for the festive period. 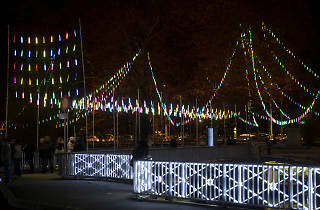 The second edition of this festival of lights in Geneva illuminates the city centre with light sculptures and installations by Swiss and international artists. 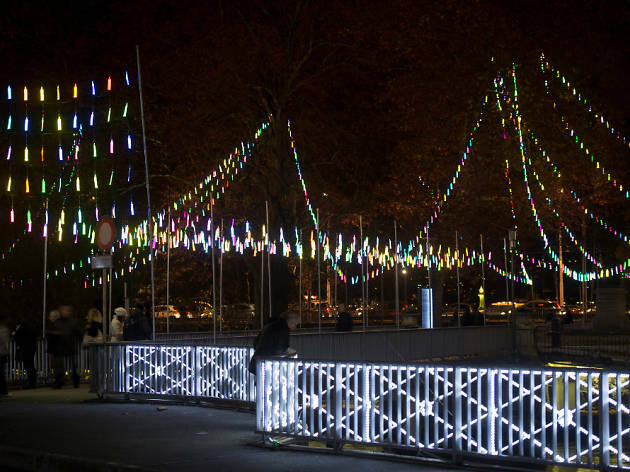 Four new works will join the three presented last year, to illuminate areas in the city including the Jardin Anglais, Place Bel-Air and Rue de Mont Blanc. Last year's inaugural festival included a Japanese-style temple and ghostly people floating in the air. 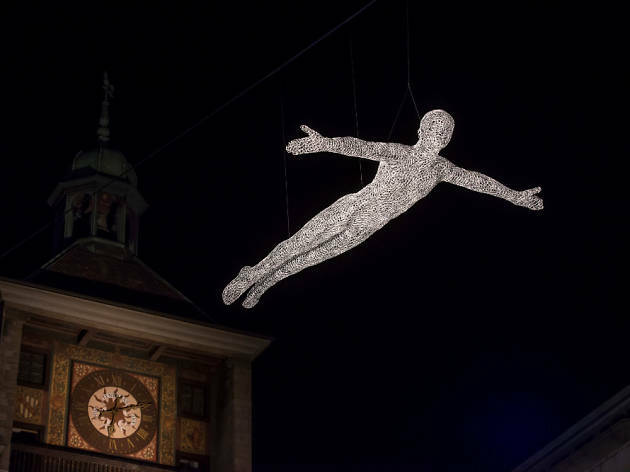 Not exactly your traditional Christmas lights, then, but Geneva Lux provides something a little different for passing shoppers and workers in central Geneva this festive season.